Lord of the Rings with cover design by Monica Elias and illustrations by Richard Beards. J.R.R. Tolkien, The Lord of the Rings published in 1995 by Quality Paperback Book Club. The Fellowship of the ring has no ISBN and published by Quality Paperback Book Club. The Two Towers has no ISBN and published by Quality Paperback Book Club. The Return of the King has no ISBN and published by Quality Paperback Book Club. Cover design by Monica Elias and illustration by Richard Beards. 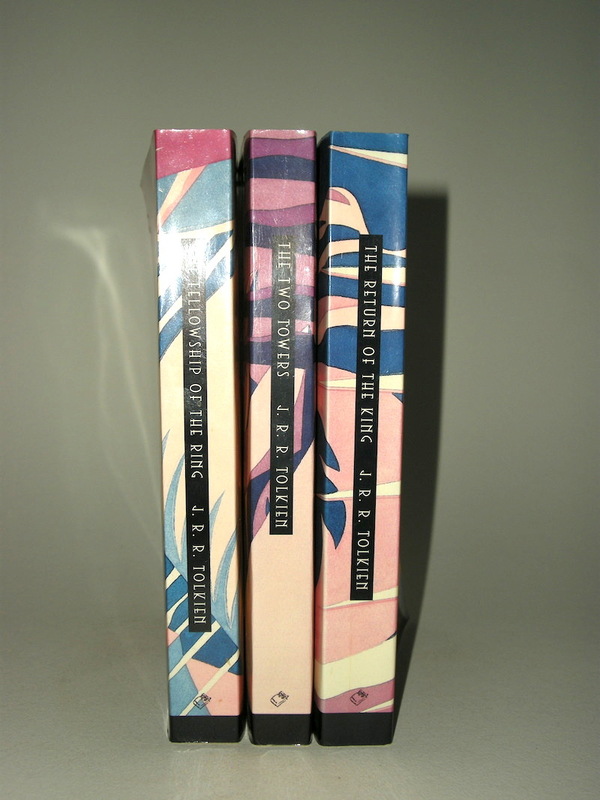 These are the 1995 editions printed by Quality Paperback Book Club (QPBC) by arrangement of Houghton Mifflin - there was also an accompanying "reader's companion" to the books printed at the same time. 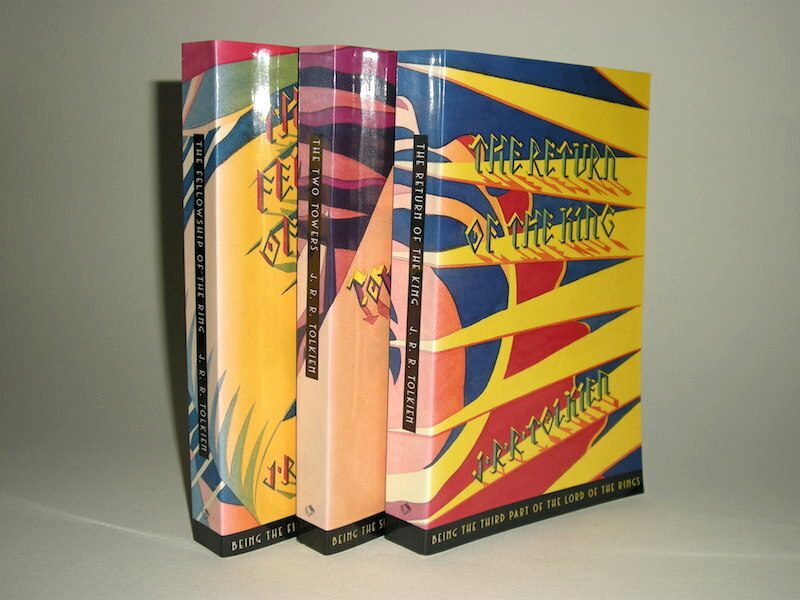 This set was only available for a short time via the Book-of-the-Month-Club. They are not overly difficult to track down and since they are book club versions they have no real value except for their oddness. The cover art is by Richard Beards who did similar art for other books - as well as a lot of commissioned works for any number of things in his distinctive style. Quality Paperback Book Club is not just a name, the quality of these books really is impressive. The binding, the cover cards and the paper is all really nice. 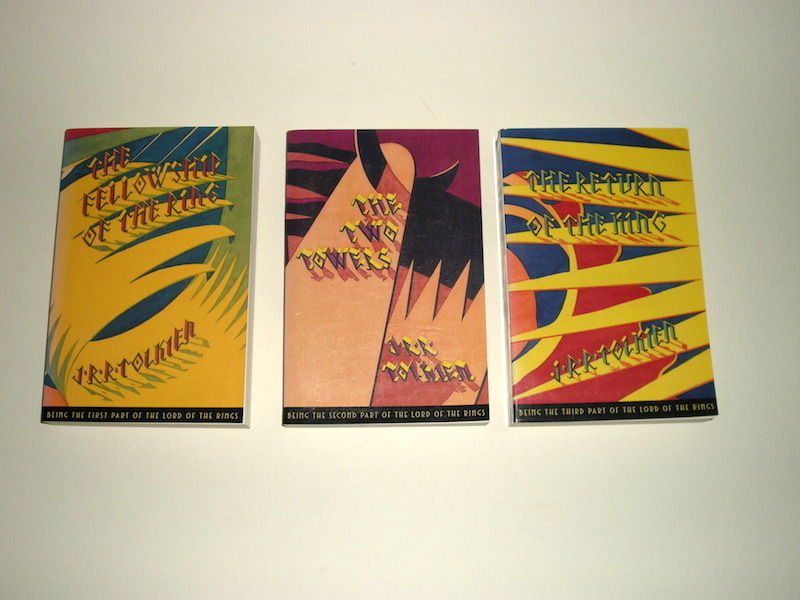 Most particular about this set is that it is still the only softcover version to ever include the tipped in full size foldout two-color maps. That alone makes this set a bit special. These paperbacks are in new unread condition.